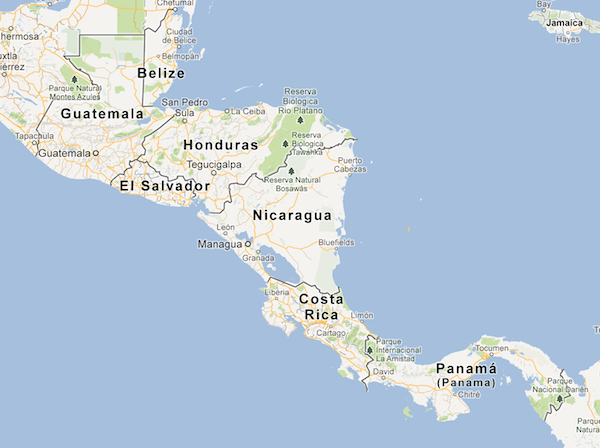 Seven small countries separate Mexico from Colombia. Cruising from Mexico to Colombia you’ll cross seven countries: Belize, Guatemala, Honduras, El Salvador, Nicaragua, Costa Rica and Panama, all rich in nature and culture. Spending about 2 to 3 days per country and spanning over a distance of around 1000 miles, this road trip should be doable in three to four weeks. The best way would probably be to buy a car in Mexico and sell it upon arrival in Colombia. Hi! I’m from Colombia, it’s just amazing how you travel around the world…I think specially this trip is very interesting for the cultural and environmental activities that you could experience. Hope you schedule it soon and spend more than 3 days in Colombia, I’m sure you’re not going to regret. Hi Leslie, hopefully I can make this happen this year! Look forward to spending some time in your beautiful country! Would like to ask about each border you have to cross/(and relative problem with each custom)..and specially is the road from panama to colombia driveble with a van?? Hi Roberto! I haven’t actually done this trip yet, it’s on my bucket list ;-). I believe you have to take a boat to go from Panama to Colombia. El viaje en moto de Holanda hacia Colombia. Tips, reisideen, papierwinkel, overzicht kosten enzovoort. Wil dit binnen 2 jaar verwerkelijken. Tuurlijk kan ik de motor via Rotterdam naar Cartagena laten vervoeren. Maar dit is niet mijn plan, alhoewel in uiterste noodzaak. P.s Heb jaren in Colombia gewoond.